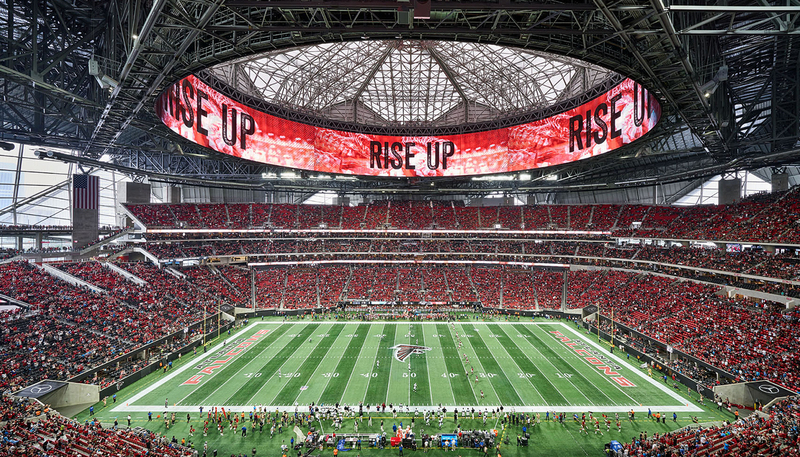 The new Mercedes-Benz Stadium in Atlanta, home of the Atlanta Falcons and Atlanta United, welcomed 75,000 fans to Super Bowl LIII in a beautifully designed and environmental friendly facility that is devoted to providing the ultimate fan experience. The HOK-designed $1.5 billion stadium opened in August 2017, an architectural icon in the city’s impressive downtown skyline. Amid its extensive post-game coverage of the Super Bowl, ESPN.com’s NFL page featured a story by ESPN Senior Writer David Fleming detailing an important and little discussed aspect of watching a game live…the quality of stadium restrooms. ASI Group agrees with Jenkins and Anthony. 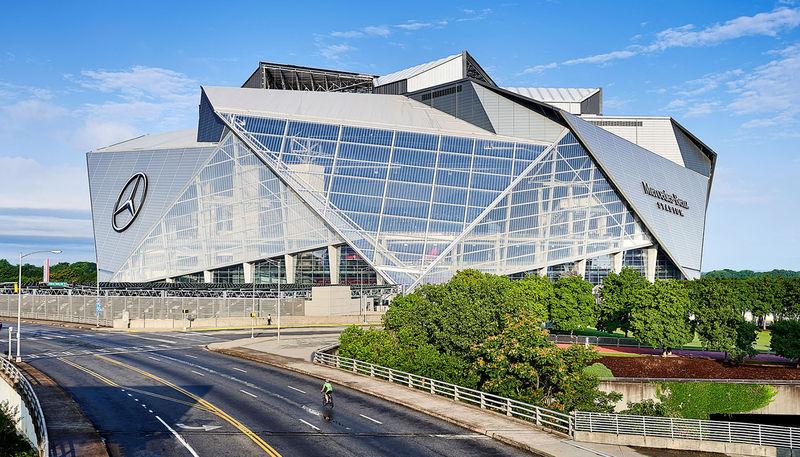 That’s why the company worked diligently to ensure that the enjoyable experience of the tens of thousands of guests anticipated for each event at Mercedes-Benz Stadium extends all the way to the restroom. 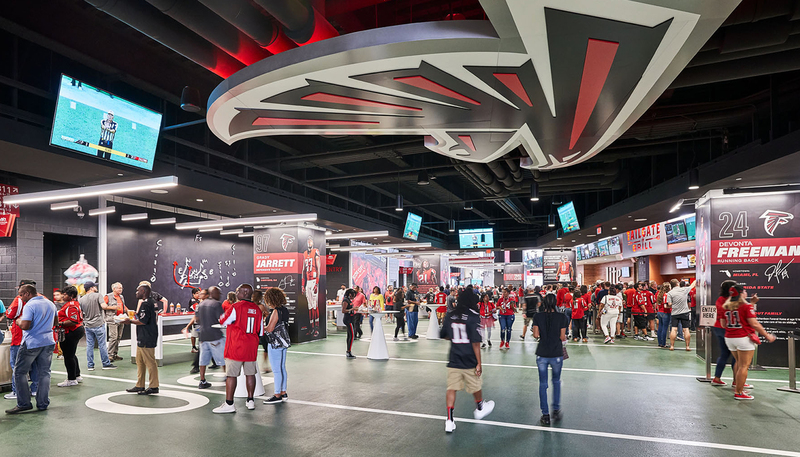 ASI Group provided Phenolic Ultimate Privacy™ Partitions that were custom designed to match the Atlanta Falcons’ deep red color and provide guests with guaranteed privacy. The partitions play a large part in ninety percent of stadium bathrooms, providing elegance and durability. In the men’s washrooms, ASI also provided hundreds of urinal screens and stainless steel shelves to hold the guests’ cups and phones. 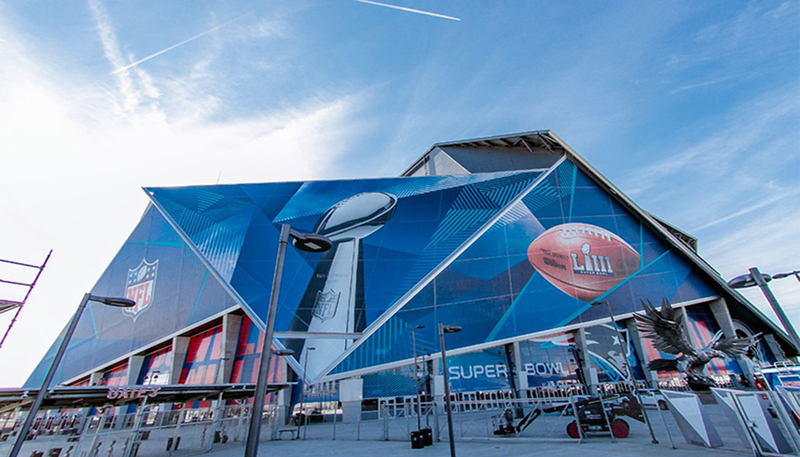 ASI Group is a leader in providing integrated building products for stadium design, and this isn’t their first super bowl appearance. 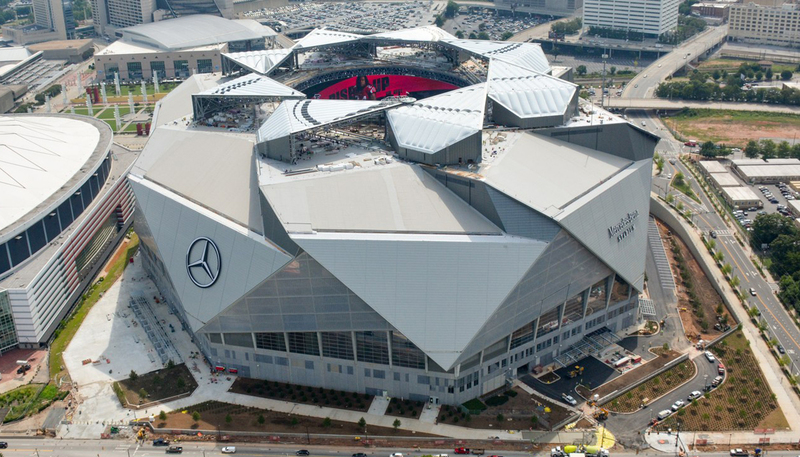 In addition to Mercedes- Benz Stadium, ASI Group’s products have been featured in some of the world’s most prominent stadiums including: US Bank Stadium, AT&T Stadium, MetLife Stadium, Levi’s Stadium, Lucas Oil Stadium and Yankee Stadium. ESPN Internet Ventures, doing business as Starwave Partners, produces ESPN.com, a sports site on the Web. The company is based in New York, New York. ESPN Internet Ventures operates as a subsidiary of The Walt Disney Company. ASI Alpaco reserves the right to make design changes or to withdraw any design without notice.